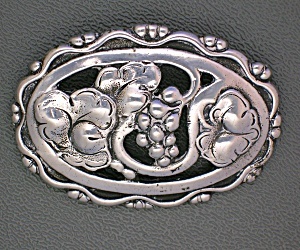 Beautiful and old Brooch with Flowers (May be pansies) Grapes and Vines on it. The brooch is marked Sterling in 2 places on the back. 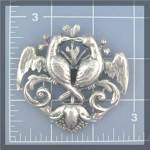 The pin has a lock, and it is 2 1/4 inches wide, and 1 5/8 inches long. The patina on the brooch is wonderful.